November is here and with it comes cold weather, shopping deals, holiday meals, and new this year, PAX Unplugged. The BGQ crew is going to be heading to Philadelphia in less than two weeks to cover PAX’s first board game convention. We have no idea how good or bad this inaugural event will be, but we have high hopes. If you are going to the convention, make sure you stop and say HI to us! Best Treehouse Ever: Forest of Fun by Scott Almes. 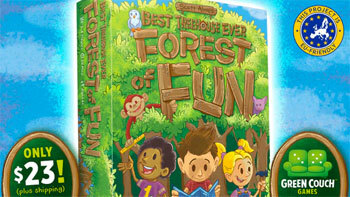 Explore the forest in this stand-alone sequel to Best Treehouse Ever that expands the Golden Geek nominee to play up to 8 players! 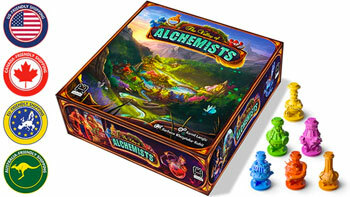 The Valley of Alchemists is a beautifully illustrated family game based on Set Collection and Pattern Building mechanics. 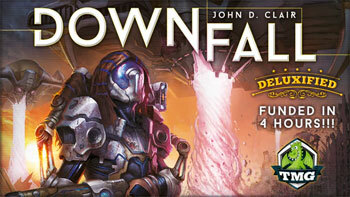 Tasty Minstrel Games presents John D. Clair’s 4X post-apocalyptic strategy game “Downfall” – in Deluxified™ Format! 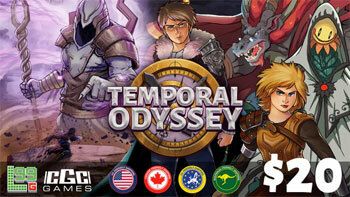 Temporal Odyssey – Draft the Future! 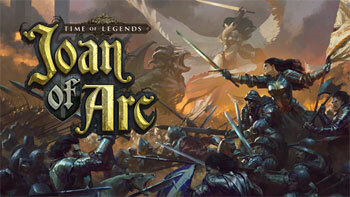 It’s a drafting battle card game for 2-4 players. Open portals, build your team, and destabilize your opponent in an epic showdown!